Charla Nash, who survived a brutal attack by a chimpanzee, appeared in Washington D.C. last week to appeal directly to lawmakers and the public in an effort to gain support for legislation that would crack down on keeping nonhuman primates as pets. In 2009 Nash lost most of her face, her hands and later her eyes as the result of an infection from when she was attacked by Travis, a chimpanzee who was purchased in Missouri and transported to Connecticut where he was kept as a pet by her friend and employer, Sandra Herold. “What happened to me must never happen to anyone again,” Nash said at press conference. 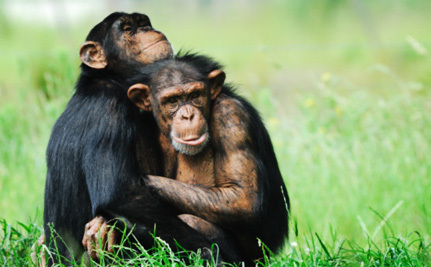 The legislation she’s supporting, the Captive Primate Safety Act, would make it harder for people to keep chimpanzees and other monkeys by amending the Lacey Act to add nonhuman primates to the list of animals who can’t be bought or moved across state lines as pets. The bill was re-introduced by Congressman Mike Fitzpatrick and co-sponsored by Earl Blumenaur and is getting widespread support from a number of animal advocacy organizations, including the Humane Society of the United States (HSUS), Born Free USA, the Jane Goodall Institute, the International Fund for Animal Welfare and the ASPCA, which are all now urging Congress to act swiftly to pass it. Supporters hope the bill will protect the public from another terrible incident like Nash’s and reduce the potential spread of diseases, including tuberculosis and herpes-B. According to the HSUS, more than 270 people, including 86 children, have been injured by captive primates since 1990, while many more incidents are believed to have gone unreported. Meanwhile, law enforcement agencies waste resources dealing with incidents and cruelty cases. Supporters of the legislation hope that it will also protect primates from a host of problems that come with private ownership affecting their welfare. These problems range from being torn from their mothers as infants and then suffering from mutilations like having their teeth removed, to being kept in conditions that don’t meet the needs of what are highly intelligent and social animals. Backers of the bill also hope that it will prevent animals who become too expensive, or too large or difficult to handle, from being kept in isolation, dumped or ending up back in the exotic pet trade. The bill was first introduced in 2005, but never made it through both the House and Senate. Hopefully, having to confront what happened to Nash and her resulting campaign will compel Congress to push the bill through this time. Please sign and share the petition urging your representative to protect both the public and nonhuman primates by supporting the Captive Primate Safety Act. Petition signed gladly. It's common sense. Very fortuitous as I just watched "Rise of the Planet of the Apes" last night. Excellent movie and although it is fiction it includes realistic scenes of what happens when people try and use non-human primates as pets or lab animals. Not a happy ending for any of us. Signed and agree - Primates are not pets. signed. ty for this important article!